Mankato Ballet Company produces a high quality spring recital each May. This recital includes our full school of dancers from ages 3 and up. In the past we have been proud to share the stories Dorothy in 2016, Beauty in 2017 and Poppins in 2018. 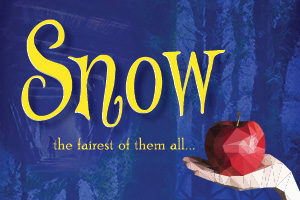 MBC is proud to announce that our spring 2019 recital will feature the ORIGINAL work Snow. This classic retelling of “Snow White” will showcase all of our levels of dancers and supplementary classes. All dancers registered as full time students participate in the spring recital. MBC owns all its costumes, so dancers do not keep costumes after the production is complete. By doing this MBC is able to keep the tuition cost and fees for each family down. There is no additional fee for performance costumes. Dancers in Ballet 1 and lower, Tap 2 and lower, Jazz 2 and lower and Modern 2 and lower perform on one day only. To see the list of performance days for your dancer CLICK HERE. Snow – Tickets are on sale NOW! Children 2 years and younger are free but must sit on a lap. We feature assigned seating so purchase tickets early to get the best seats. Tickets may be purchased through the Mankato Ballet Company website. All tickets are purchased online this year. Tickets are non refundable and subject to online ticketing fees. Go through the ticketing service to change or refund tickets. It should be a quick and easy process. CLICK HERE to purchase tickets. Tickets can also be purchased 1 hour prior to each performance at the door.